Sharp and striking paint breaks and platforms transformed the galleries into abstract color fields, backdrops for Lichtenstein's diagonal lines and Ben-Day dots. 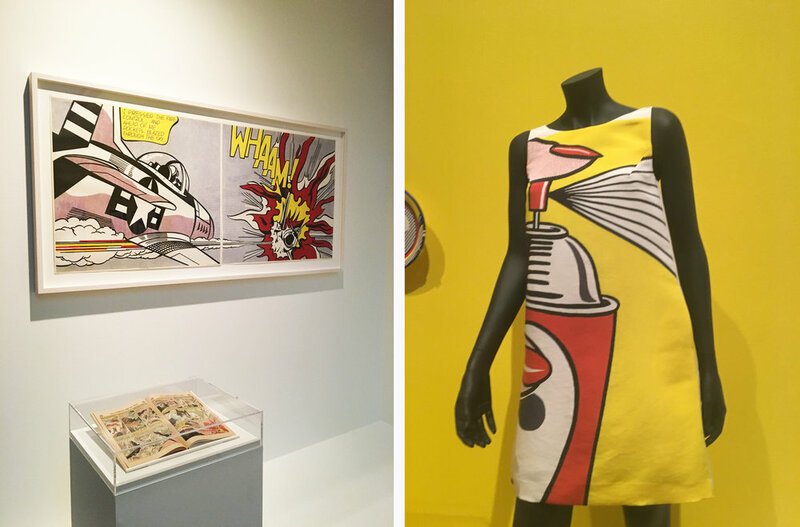 The exhibition featured prints from Lichtenstein’s Bull Profile and Surrealist series, as well as the iconic Sunrise and Shipboard Girl. Additional works on display ranged from political subject matter to paper plates, clothing, and shopping bags. To make Lichtenstein’s creative work truly accessible to all visitors, we transformed a gallery into an interactive space where visitors could step into Lichtenstein’s reimagination of Vincent van Gogh’s Bedroom at Arles, brought to life in three-dimensional form.